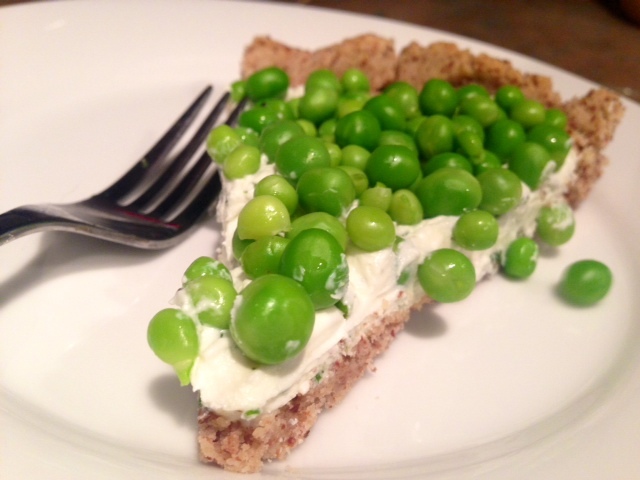 English peas in the spring are one of those magical things. There’s this super narrow window when they’re in season (usually a few weeks in April), and if you can catch them fresh-off-the-vine they’re this crunchy, sweet treat bursting with flavor. My CSA box back in April came with three whole bags of English peas, still in their pods. Shelling them can take quite a bit of work—though if I’d been smart, I would have soaked them in a water or blanched them for a minute to make them softer. I just sat in front of the TV and shelled the peas while vegging out. 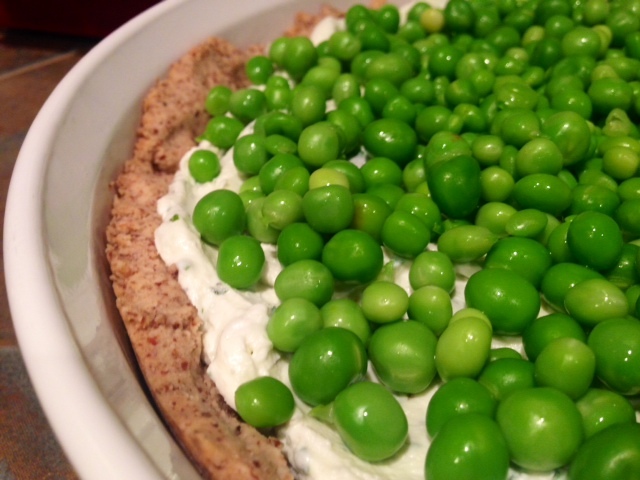 As soon as I got the peas, I knew exactly what recipe I wanted to make. 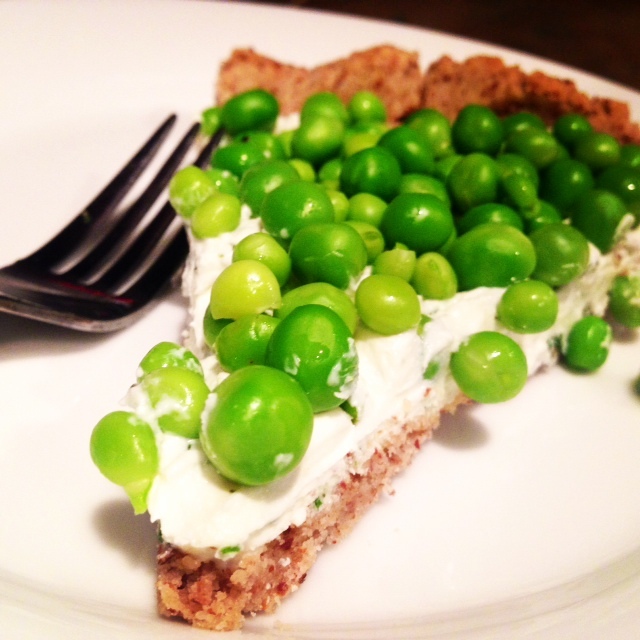 I pinned this tart recipe probably a few years ago, but haven’t had the chance to make it. It just sounded awesome across the board. 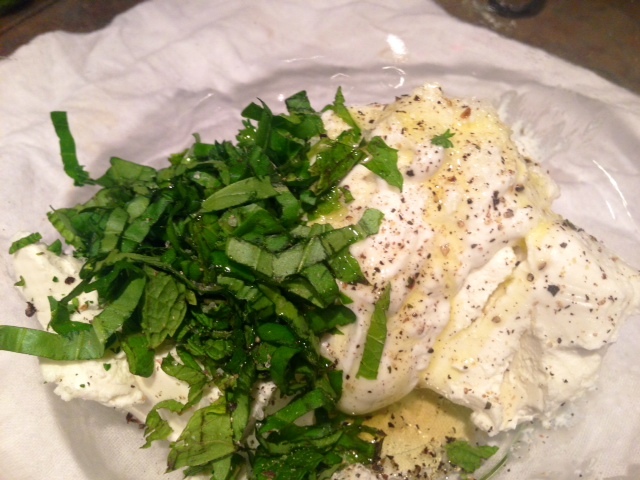 My family teases me about how much I love goat cheese, but it’s seriously awesome! 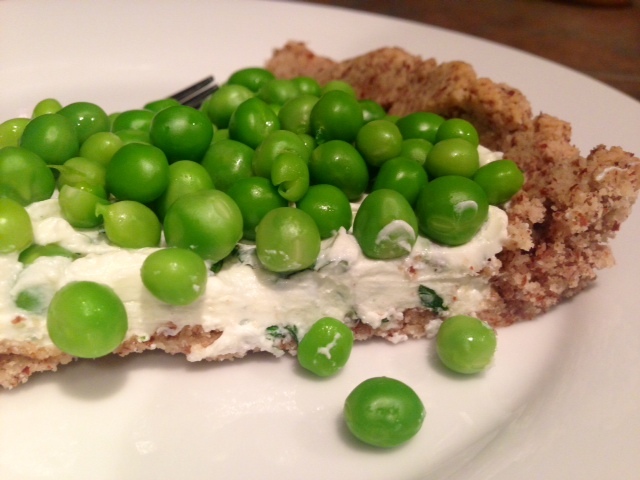 The combination of tangy goat cheese, creamy greek yogurt, fresh herbs, a little salt, and then those sweet peas is truly unique. I wasn’t able to find micro greens, but I do think they’d make this recipe even better. 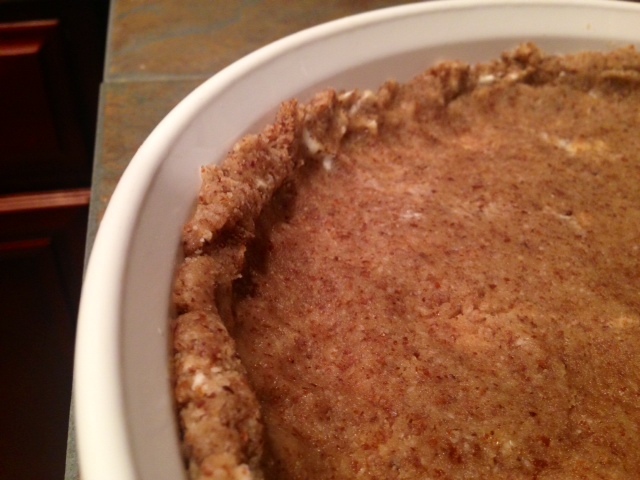 It’s also important to note that this is NOT great as leftovers…the tart solidifies in the fridge and becomes quite hard and a little flavorless, losing the awesome texture and tang it had when it was fresh. This recipe is perfect for something like a Mother’s Day brunch or Sunday morning bridal shower—something a little fancy, but where it will get consumed right away. 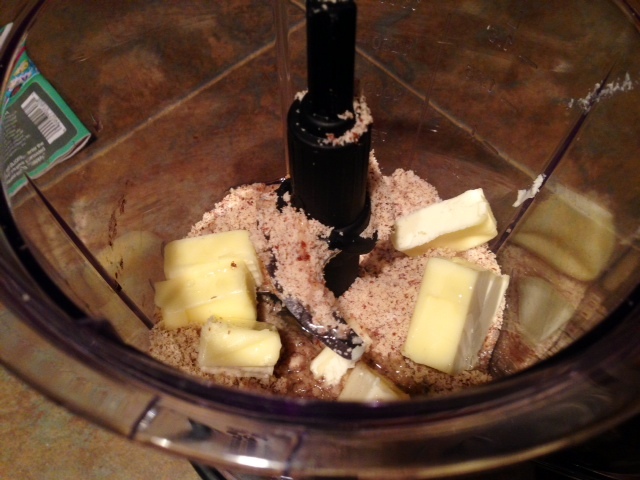 In a food processor, add the almond flour, butter, egg white, and salt, and pulse until the mixtures starts to come together. Gather the dough and place in a well-greased tart mold, pressing down firmly with your fingers up and around the edges to create an even layer. Prick the bottom of the shell all over with a fork, then put the tart shell in the freezer for 20 minutes while you heat the oven to 350 F.
Once the oven is hot, bake the frozen tart shell in the oven and until golden, about 15 minutes or until light golden brown. Let cool on a rack. Allow to cool completely before unmolding and filling. Placing it in the fridge speeds up cooling and makes unmolding easier. 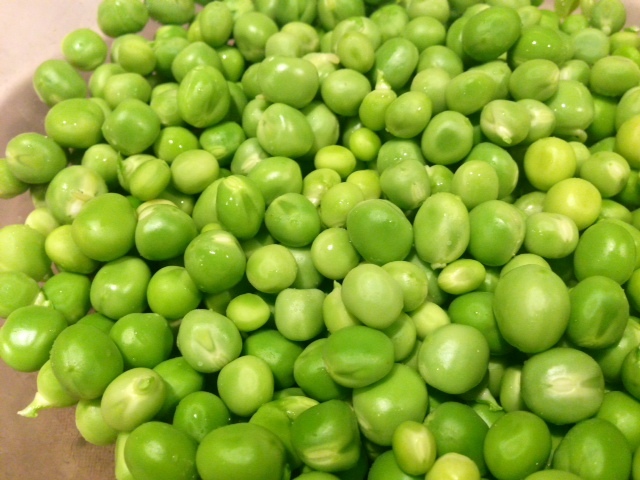 Bring water to a boil and blanch the peas for about 2 minutes, then shock them in a bowl of ice water and drain (I patted them dry with a towel as well). 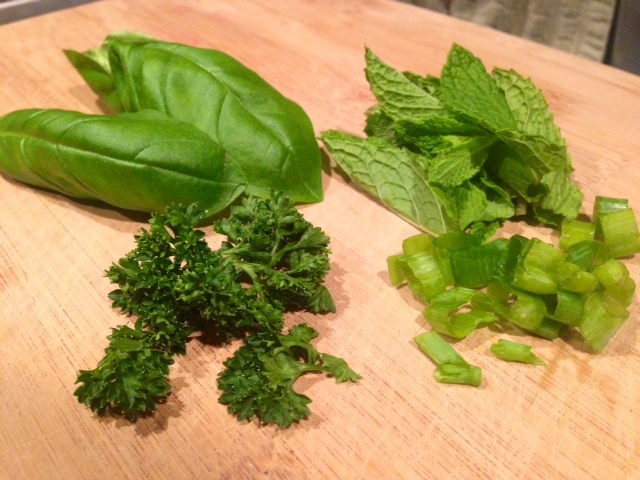 Mince up your fresh herbs. I didn’t have all the ones I wanted, but made do with basil, parsley, green onion, and mint. In a food processor, blend together the goat cheese, Greek yogurt, fresh herbs, olive oil, and a pinch of salt and pepper, and pulse briefly to combine (but you don’t want to puree it). 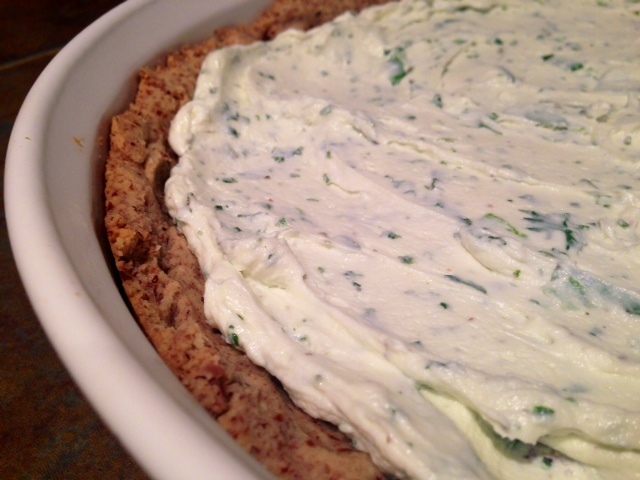 When the tart shell has cooled, spread the herbed goat cheese filling evenly in the shell. 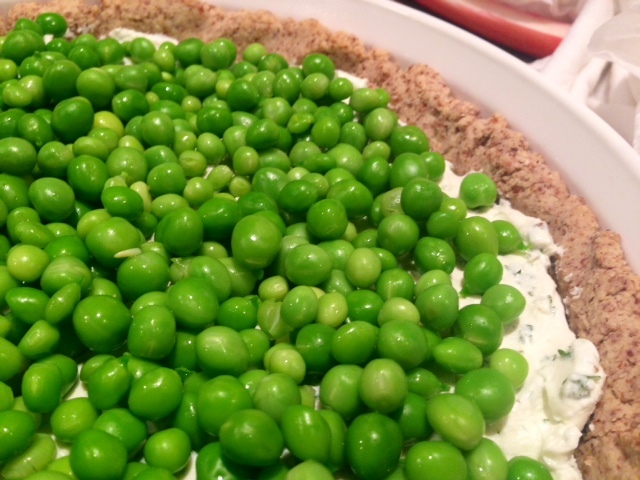 Cover the entire surface of the tart with a layer of peas. Top with the micro greens, drizzle with a little extra olive oil and season with salt and pepper to taste. I couldn’t find micro greens for the life of me, so had to leave out, but I really think it would have added something super special. You can chill for a few minutes, but this is best if you slice and serve right away! Place the frozen tart shell in the oven and bake until golden, about 15 minutes or until light golden brown. Let cool on a rack. Allow to cool completely before unmolding and filling. If you place the tart shell in the fridge, it speeds up cooling and makes unmolding easier. In a food processor, blend together the goat cheese, Greek yogurt, fresh herbs, olive oil, and a pinch of salt and pepper, and pulse briefly to combine. Bring water to a boil. Blanch the peas for about 2 minutes, then shock them in a bowl of ice water and drain (I patted them dry with a towel as well). 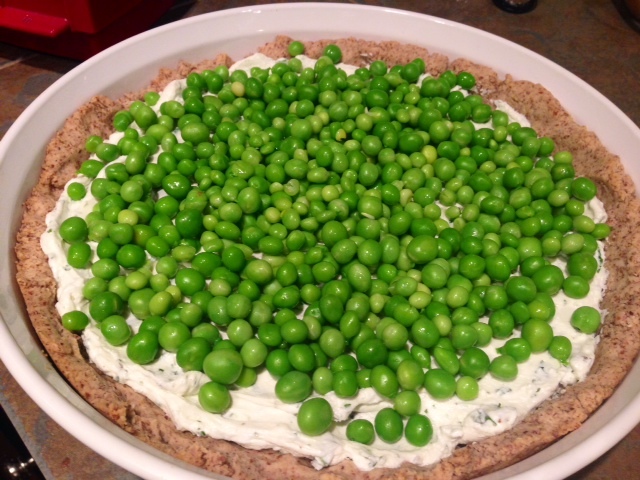 When the tart shell has cooled, spread the herbed goat cheese filling evenly in the shell, then cover the entire surface with a layer of peas. Top with the micro greens, drizzle with a little extra olive oil and season with salt and pepper to taste. Cut and serve.